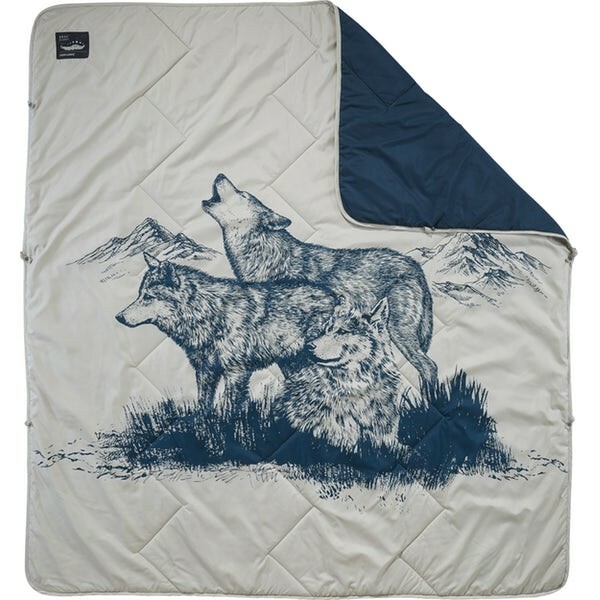 Thermarest Argo Blanket Wolf - Exceptional temperature regulation and comfort thanks to advanced insulation technology and deluxe fabrics. Utility meets luxurious comfort in this basecamp-worthy blanket. Part of our Camp & Comfort Series, the Argo offers supreme utility and the active heat and moisture regulation of 37.5 insulation. This blanket feels so plush you'll never use your solo sleeping bag on warm nights again! Be ready for basecamp with the exceptionally comfortable Argo. Next-to-Skin Comfort: Soft-touch, brushed polyester lining.